The links below are some of the pages of the Gloucester Primary Schools FA (GPSFA) website. Via these links you can find football fixtures and results for the school football team and the Girls League. 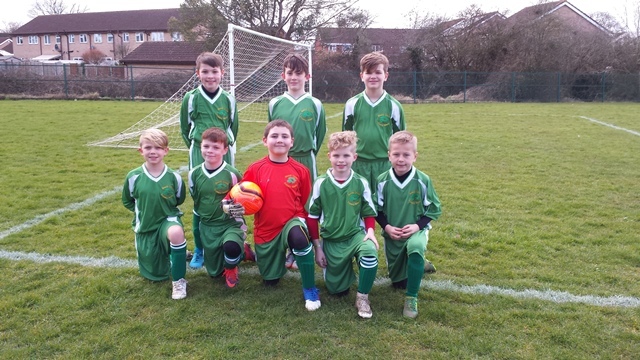 We are thrilled that this year Beech Green is the Gloucester Primary Schools Football Association (GPSFA) Group 3 winner and hold the cup with pride. The team played ten games in all and it was a close run race with Kingsway, Widden and Beech Green jockeying for position throughout the season. With only one or two points separating the top 3 teams Beech Green managed a win on their last game. This placed Beech Green top with 25 points putting them 3 points ahead. We congratulate the whole team for their commitment, skill and more importantly, listening to team talks when they really mattered! Well done! Many thanks to our PTFA for buying us new kit - please see bottom photo.